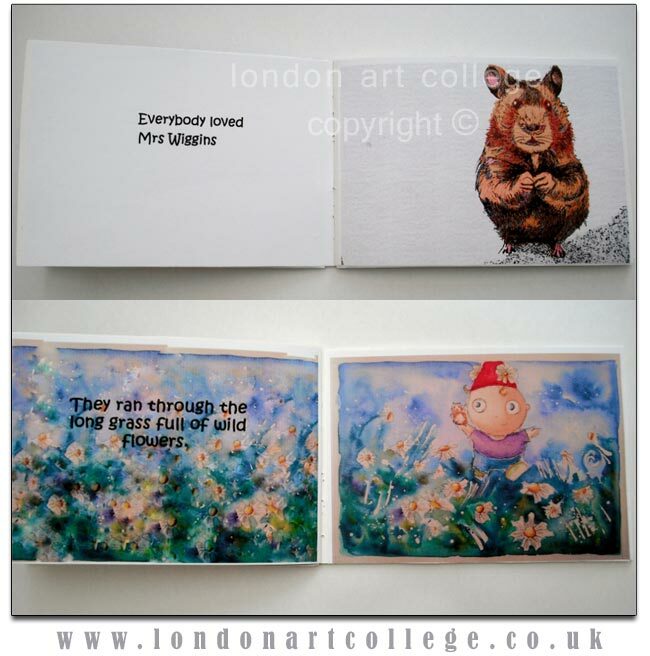 The following text and images are by Claire, a very talented student who has just completed both the Illustrating Children’s Books (D6) and the follow on Extension course. We would like to thank Claire for taking the time to write a piece for our college news blog and we wish her every success in what looks like will be a very exciting career for her. 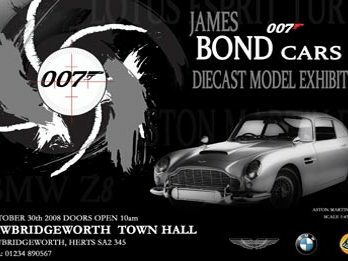 My name is Claire Westwood. Painting and drawing was all I’d ever wanted to do. Having a degree in art, then having four children, I’d dabbled in professional art/illustration before ( I did some greeting cards, fine art and magazine work) but I now felt that I fully had the time to dedicated to my art. 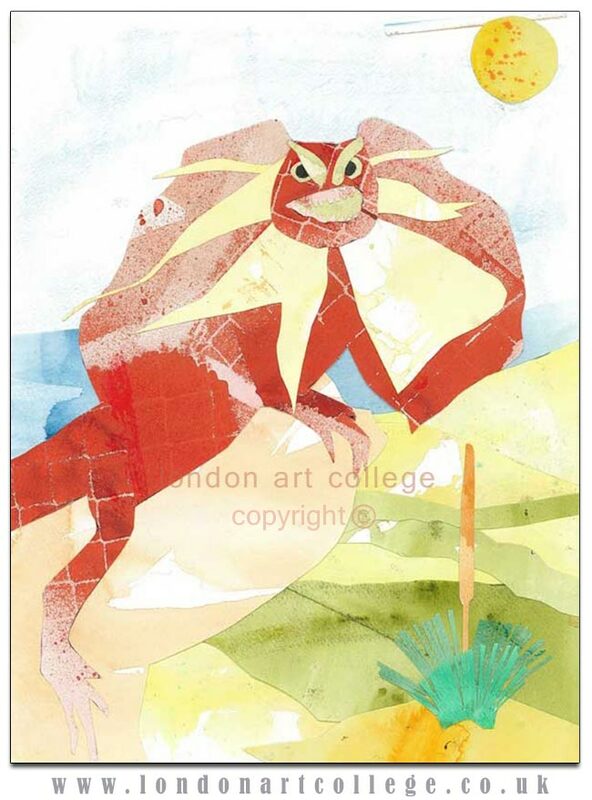 I had always thought my heart laid in illustrative art and was thrilled to find the ‘Illustrating Children’s Books course at London Art College.The assignments gave me the right direction and set the challenges I needed. I was delighted to pass the course with merit and even more excited to be offered a place on the extension course with my Tutor, Maggy Roberts. It was so good to talk to other students and compare work and ideas. I am now friends and still in contact with many course members. We also meet on facebook where LAC now has it’s own page. During the extension course I developed my own ideas for a children’s book which is quite a process! It’s great to know how to present and create a book. I may eventually try to publish my book ‘Natty Bob and Mrs Wiggins’. It was an idea that I’d had for some time and with Maggy’s help I was able to express my ideas with illustrations to a more professional standard. The course also provided briefs that I could then add to my website, at this stage I also started a facebook page for my art. This gives a good indication about which art is popular, as people can ‘like’ my images and offer comments. The course confirmed that I wanted to pursue illustration, the extension course allowed me to experiment and gave me a direction to encourage my further development. A lot of my art consists of pen with watercolour, acrylic and now digital mediums. My style has grown quite pattern like and my images often come from dreams, my imagination or inspired by things around me. I like to interject some edge to my pictures and often add light or mist to create mood. My recent work has a contemporary style with a traditional feel. As my website grew I was attracting more commissions and have recently illustrated a Children’s book called ‘The Hippo club’. A friend of a friend had seen one of my pictures and then took a look at my website. This led to me working with him, after many meetings and lots work, I have now completed the illustrations. The book is currently being sent to various publishers. I have also begun working in Art workshops in a local art gallery. In the new year I am beginning workshops in illustration with adults who are carers and use art as a means of therapy and a chance to meet others carers. This illustration extension course fine tuned my ideas and gave my style a chance to fully develop. My portfolio and website expanded and I became more confident in my abilities. This enabled me to send some examples of my work to illustration agents. I finished and passed the course this week and am happy to say that I also signed an agreement contract with an illustration agency! 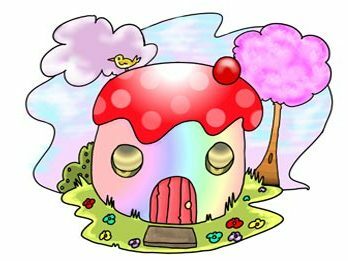 I am at present working on illustrations for them. I would strongly recommend the illustrating Children’s Books course to anyone. I have learnt so much and had so much fun with great support. If you are passionate about art and illustrating like me, then you must keep creating. I have basically unleashed my imagination and let my artwork express my true feelings! 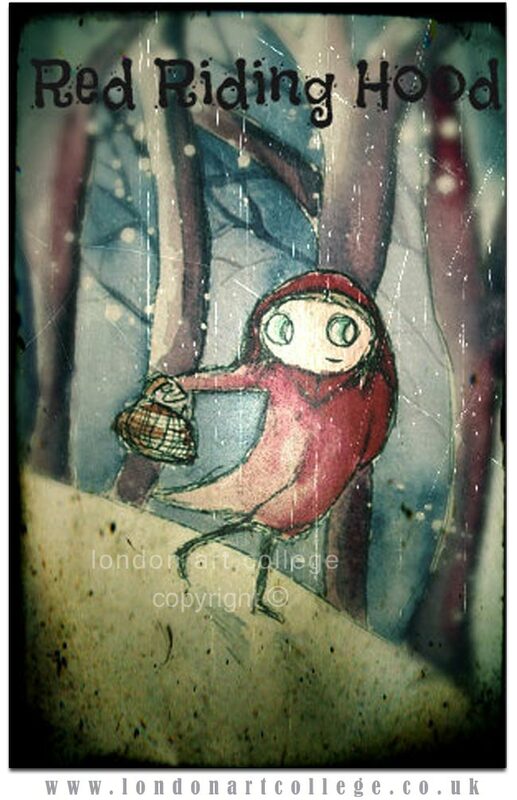 Claire Westwood – Illustrating Children’s Books (D6) and the follow on Extension course. 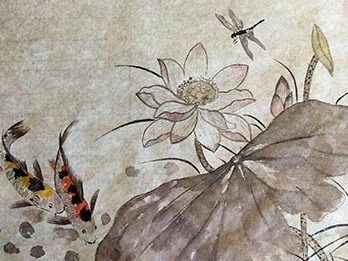 Chinese Brush Painting Student Artwork…. 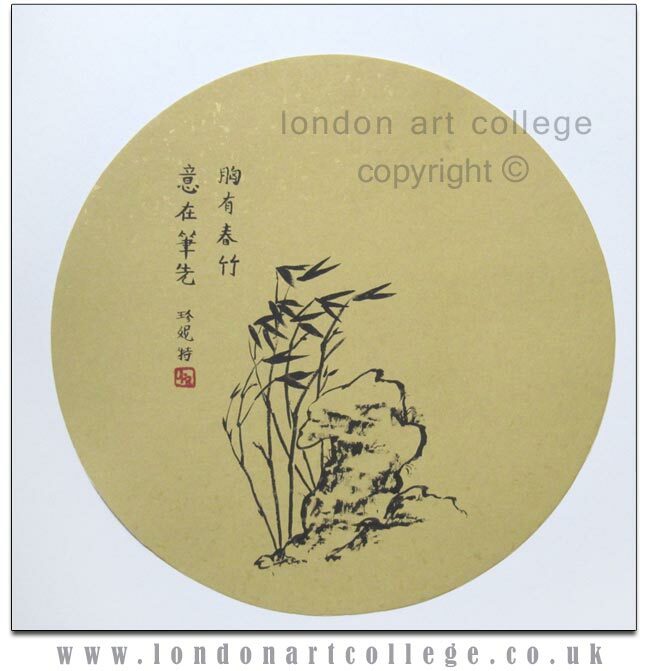 I have just completed the first section of the Chinese Brush Painting Certificate course. 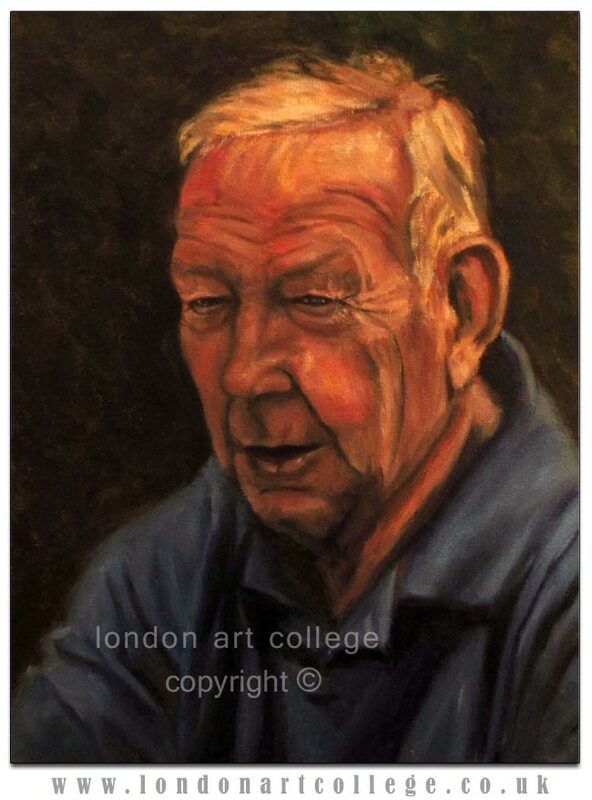 I chose this subject for my first attempt at a correspondence course because it is familiar and I need to take my painting one step further – i.e. concentrate on brush stroke quality and think about composition. At present I am going through a bit of a sticky patch … but I think this is normal when one tries to discipline one’s creative juices to a higher standard. Working on one’s own is never easy and there are always too many distractions (by nature I am lazy and slapdash). The course content is excellent, very complete and is certainly redressing my “composition issues”. 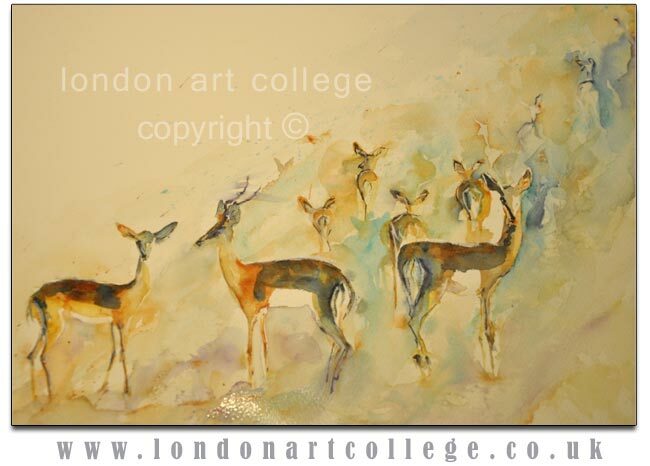 I am delighted to have received a distinction for my Watercolour Diploma. 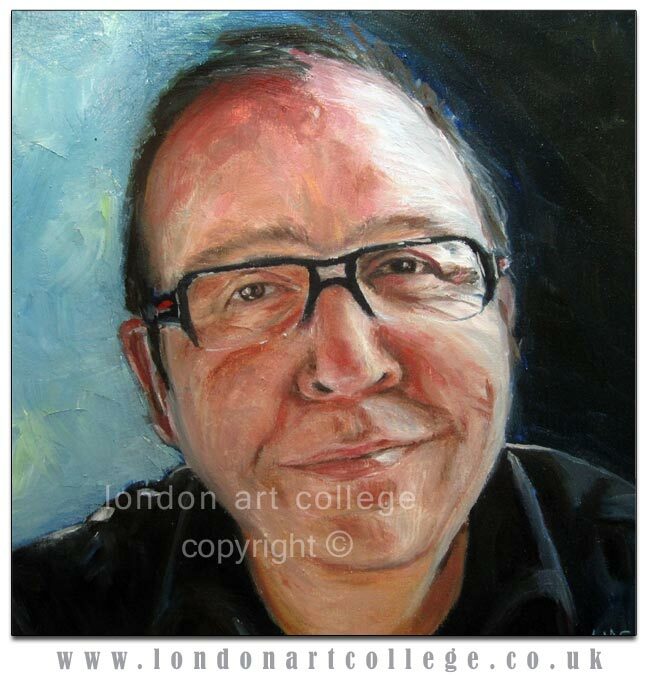 I enjoyed the course and the challenge of painting subjects which I have not attempted before and feel like I have progressed with my technique. I like painting without a preliminary sketch as I find it more exciting in creating an interpretation of the subject in a loose style. I grew up in Africa so am passionate about animals and vibrant colours so hope to convey that in painting in the magical medium of watercolour. My tutor, Jan Nesbitt, was wonderful, thank you Jan for your words of encouragement. I feel like I am just beginning an exciting journey. Children’s Illustration Student and Author…..
Maggy Roberts, our Illustrating Children’s book tutor, asked if Jenny could write something for our college news blog. Jenny passed the Illustrating children’s books course with distinctions and she is in the process of writing children’s stories for publishers. Below are Jenny’s experiences from the course. For as long as I can remember I wanted to write and illustrate children’s books. It took me a long time to work up the courage to really give it a go, but I finally took the plunge and began to write. It’s taken a lot of reading, a lot of writing and many rejections and tears, but I’ve finally had success, which is the most exciting thing that has ever happened to me. 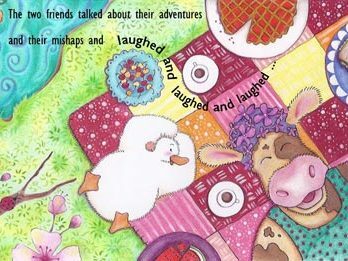 I still wanted to know more about the illustrating side of things, so I was thrilled to come across the ‘Illustrating Children’s Books’ course. It not only covers some of the technical aspects of illustrating, but it gives you the opportunity to be creative by following the set briefs. I’ve never been an overly confident person, but Maggy’s constructive feedback and encouragement was wonderful and when you doubt yourself, you really appreciate that support. I found all the activities loads of fun, and I know I will continue to use some of the different techniques that I experimented with a long the way. Probably the most important things I learned doing the course is not to play the comparison game, and to have more confidence in my own work, and as I couldn’t imagine not drawing or painting it has inspired me to do further study in illustration which I’m really looking forward to. I’d recommend this course to anyone who has a passion for children’s books, it really gives you an appreciation of what our many wonderful illustrators do to complete a story and bring characters to life, and as Maggy told me in the very beginning, you might achieve your own dream. 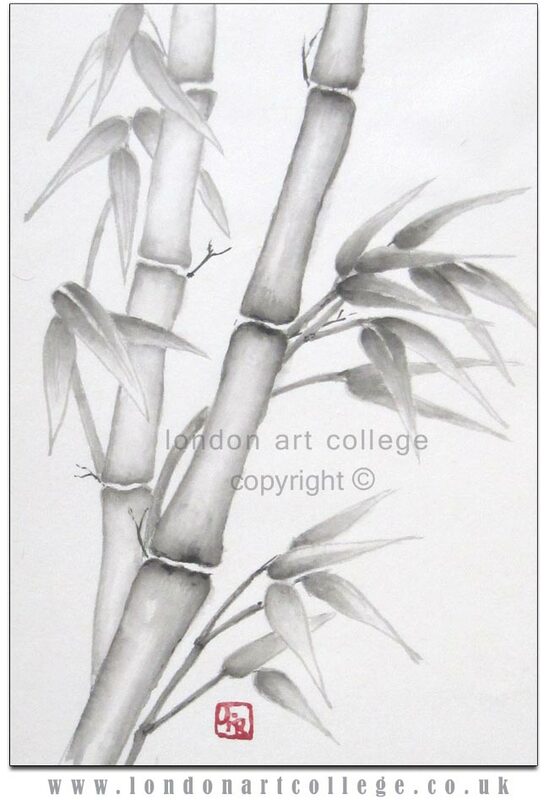 Below is one of Jenny’s pieces of artwork she completed on the course. I asked Nicola if she would be able to chat about her wonderful photograph below for our college news blog. Nicola is currently studying the Photography Diploma Course (D10) with Rona Cox and is enjoying every minute. I hope you enjoy Nicola’s post below. 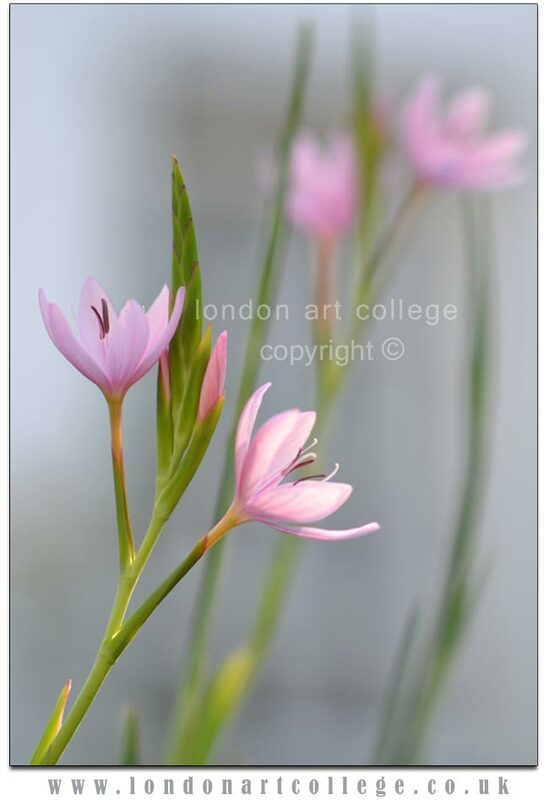 My name is Nicola Cooper and I am taking the photography diploma with tutor Rona Cox. My husband noted that I had been a little glum of late….I had moved to West Wales, away from family and friends and I have just given birth to two little twins so I was exhausted. He wanted to give me something to get excited about and he noticed that I had quite a knack of taking good shots with my mobile phone – so he kindly bought me a DSLR. As soon as I had the camera in my hands I knew this was for me – however, I had never held a real camera before, and I was dumbfounded by all the buttons. Thankfully, digital cameras these days are so easy to use and with the help of Rona and the course material, I slowly started getting my head around creative settings. It must have been fate or something, because just as he bought me the camera the course at LAC was introduced !! spooky ! The picture featured on this blog was taken this morning on a walk with my family. One of the most wonderful things about living in West Wales, is that I am never short of material! There was an adorable little cottage along the side of a dirt track and although it was rather unkempt, it had some wonderful little flowers in the garden. I used my birthday lens to take the shot, the lighting was good, so all I needed to do was to decided on what creative look I wanted to achieve and to set the camera accordingly. My birthday lens is a NIKON portrait lens so it can achieve amazing shallow field. It didn’t want it totally blurry, there needed to be some depth, so I set my aperture fairly wide. By having a wide aperture I was able to create this lovely soft effect which I believe compliments the gentle fragility of the flowers. I was careful to frame the shot well and I had to keep a steady hand……one things I have noticed, is that when I use wide apertures, the camera will pick up movement. Ideally I should have used a tripod, but I think we had walked 4 miles or so, so there was no way I was going back. I was really pleased with the result, its so encouraging when you finally “nail it”. I am my own worst critic, (as I am certain many of you will relate to that !! ), but FINALLY, I had a shot that I felt didn’t need cropping or retouching. YIPPEE. The wonderful thing about photography is that it can be so spontaneous – you see something, the light is perfect and SNAP, there it goes. A moment in time, never to be recreated. In my opinion, it just doesn’t get any better then that !!!! 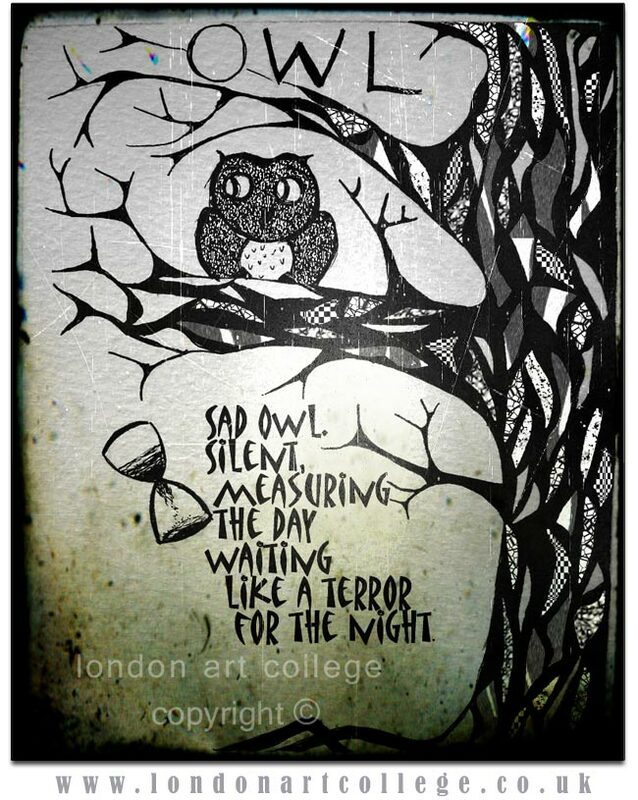 We have received some beautiful artwork this week to add to the website and blog and I have added one of them below. 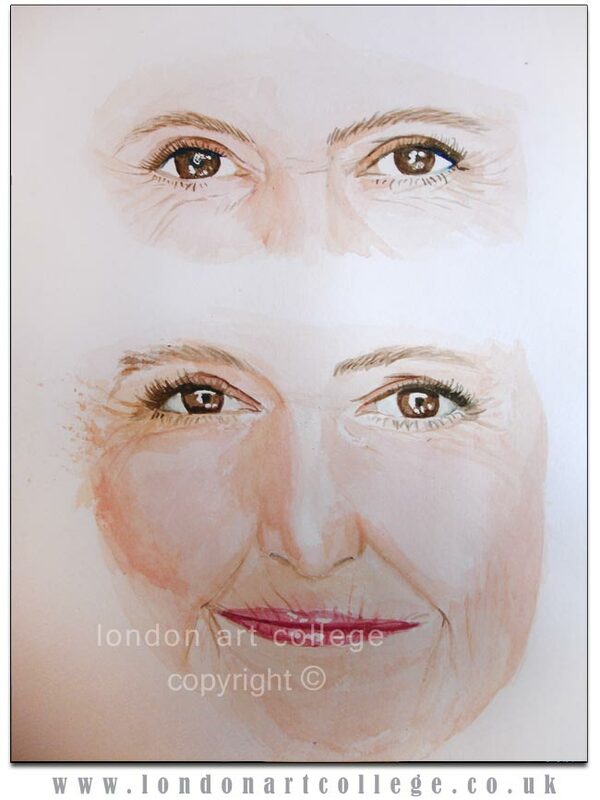 This is a piece of work from the portraiture course and this student has completed two studies of eyes and skin tones in watercolour. 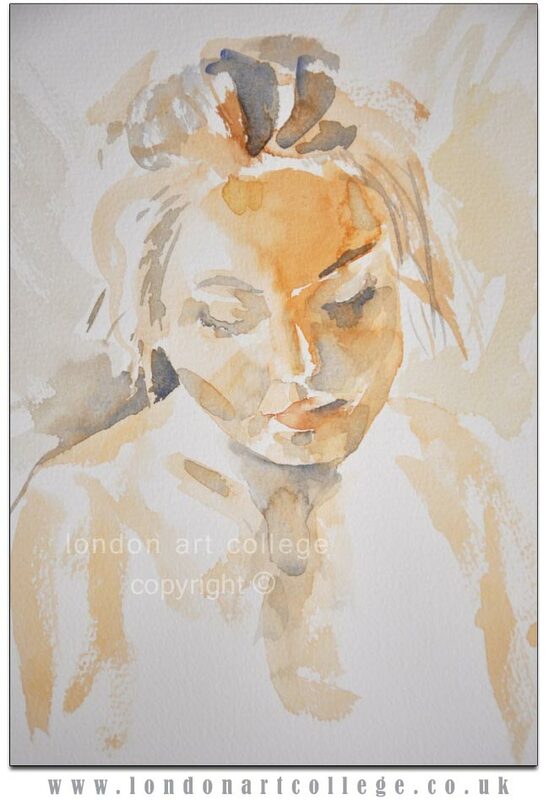 The subtle colours, delicate layers of watercolour and the students light touch in painting have work stunningly. Congratulations to this student for two wonderful studies. 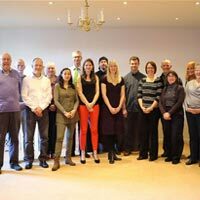 We add students to our honours list on our website regularly with students who have passed their course with flying colours. This week was the turn of a drawing and painting diploma student called Ulrike and when I saw her work, I thought we just have to have here here on the blog to show case it. I emailed Ulrike to ask if she would write something about her work and she has kindly write the text below. I hope you enjoy reading it along with viewing her wonderful paintings. About the both oil portraits I can say I painted those men I love most O:-): my husband and my father. Let me start with my husband. The original is just 20 x 20cm. I painted on gessoed MDF and used watersoluble oil colours. I just had photo as basis with quite a lot of light on the right. It’s never easy to get the features of someone you love right. Besides, painting glasses is difficult if you use lots of paint. O;-) I usually use less. The background was the last I changed. First it was too dark. Later I thought about the complementary contrasts and changed it. 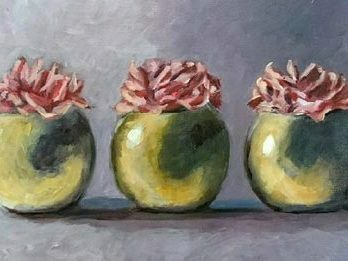 At the moment I’m having a love of still life’s with just a few or just one subject and I like to paint small. 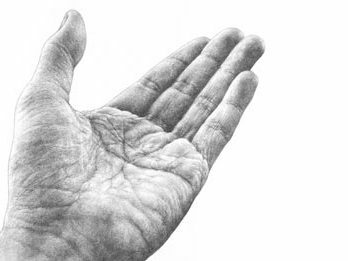 Perhaps you’d like to have a look on http://www.ums-arts.com or on my blog http://carpe-mundum.blogspot.com. There you’ll find some more of my work. In this jubilee year, the art world has inspired lots of talented individuals to participate in art competitions with Britain at the heart of their theme. 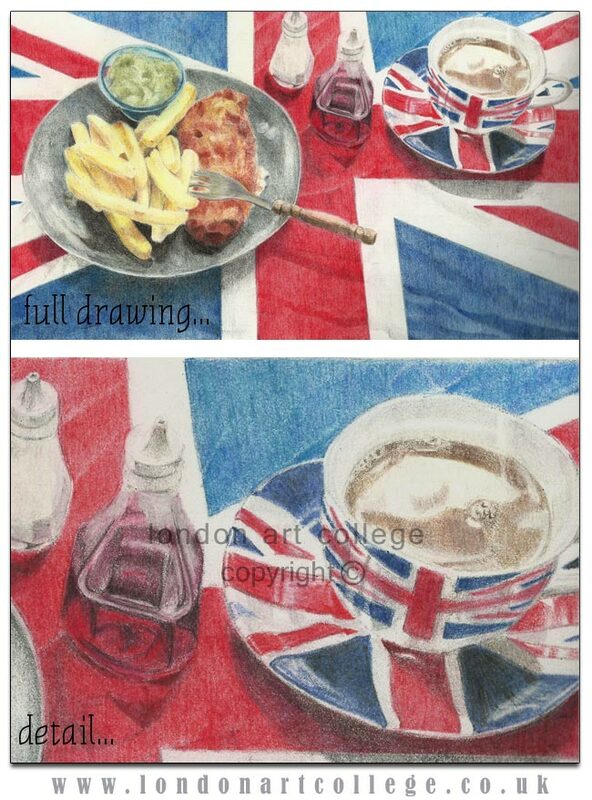 New student, Julie Ann Maguire, who joined the Portraiture Certificate course in January this year, took a little time out recently from her studies at London Art College and entered a still life rendering in coloured pencil for the Leisure Painters “Best of Britain” competition. Last week she received some brilliant news that her painting, “Jubilee in Isolation” has won first prize in this national art magazine’s competition. With her course studies almost complete, Julie has also become a member of the United Kingdom Coloured Pencil Society (UKCPS) and intends to enrol onto the LAC’s Coloured Pencil Certificate course in the near future. As a tutor for the college and also being an artist myself (Melanie Phillips pencil pet portraits)I quite often have art catalogues drop through my letter box and one of the regular suppliers that I order from is Ken Bromley Art Supplies. I have been receiving their catalogue for more years than I care to remember, even when it was a simple black and white photocopied catalogue. These days its a wonderful glossy booklet with a full colour image on the from and beautiful artwork adorning each issue. My copy arrived on Friday and I immediately recognised one of my students as the cover artist. Upon looking inside realised that Isobel had won their recent competition with her ‘Sleeping Lion ‘ piece. I was thrilled! I emailed her immediately to ask if we could do a piece about her win on the college news blog and she has very kindly written the text below. 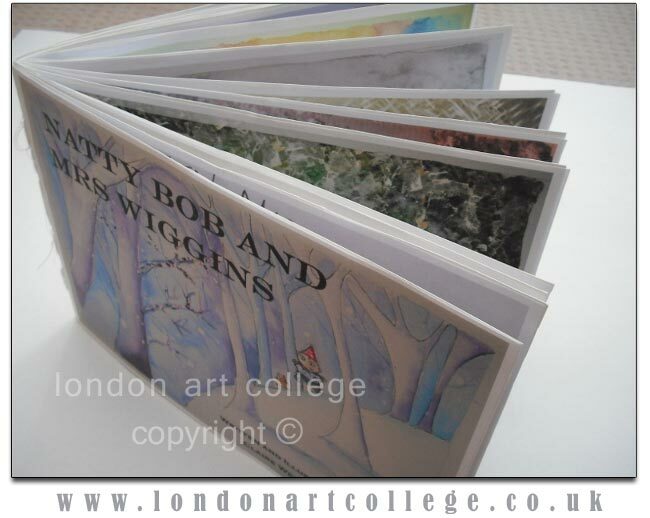 I have added a copy of her winning piece along with a photo of the catalogue that Isobel took. I hope that you all find Isobel’s story an inspiration. Im sure we’ve all been there, when you see an art competition and you think should I enter that? I don’t know you but I always get a rush of excitement and think wouldn’t it be amazing if I won a prize quickly followed by don’t be so ridiculous all those other entries are so brilliant no one will even look at mine! A few months ago i found myself thinking all of these things! 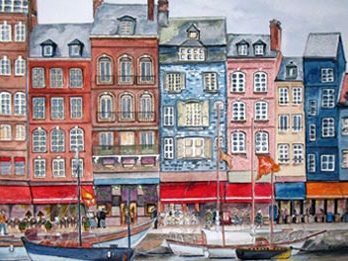 It started when my husband asked me to paint a picture of Newcastle and the Tyne Bridge. I decided to be brave and try something new and thought i would try experimenting with acrylics. While searching on the internet i found a range of Liquitex mediums such as black lava gel, glass beads texture gel and pouring medium and thought that sounded like a lot of fun. My normal art suppliers didn’t stock them and thats when I came across Ken Bromley Art Supplies. Having made my purchases I then discovered their cover competition. The only reason I really entered the Ken Bromley Art Supplies cover competition was because I could hear my Mum’s voice in my head telling me to have a go because you just don’t know! I am extremely glad I listened because amazingly I actually won! The prize consisted of choosing £100 of art materials and having my picture on the front of their Autumn/Winter catalogue. 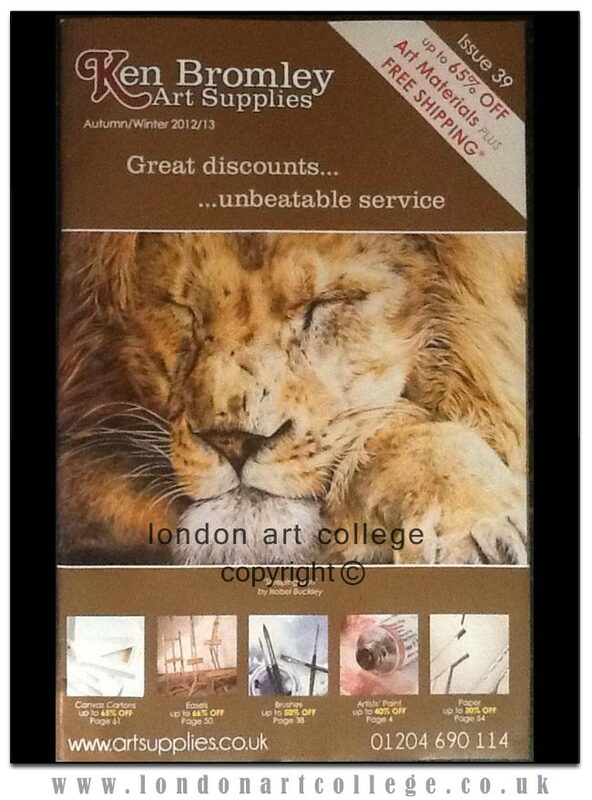 When the catalogue arrived at my door it was the best feeling at the world seeing my picture of ‘Sleeping Lion’ there on the cover! Here is my story of how I got there! 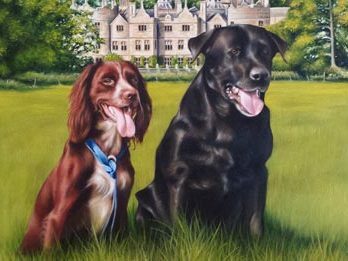 A while ago I embarked on the ‘Pet Portrait’ course with Melanie after my very supportive Mum gave me the money. It was at the start of this course that I decided to give coloured pencils ago as the last time I had was when I was at school! Straight away I knew I had found something I was going to love. I tried a couple of different brands of pencils, a few different papers and read as many books as I could find on the subject. When I tried Prismacolor pencils I knew these were by far my personal favourites along with Stonehenge paper. What I love about these pencils is their softness and the wonderful effects that can be achieved when building up lots of layers of colours. 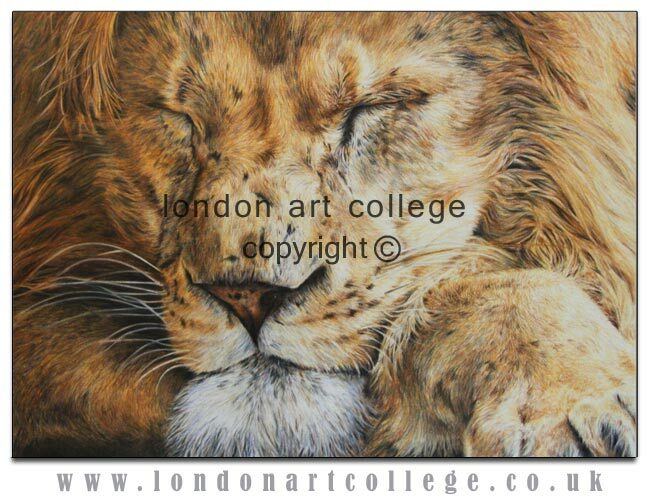 It takes me many many hours to complete a picture like ‘Sleeping Lion’ but when I draw I loose all sense of time! 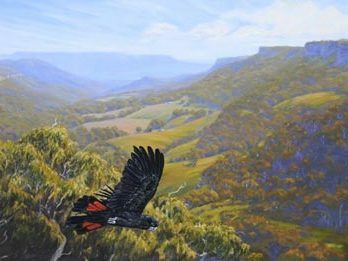 While I started with pet portraits, I soon discovered a passion for wildlife art. 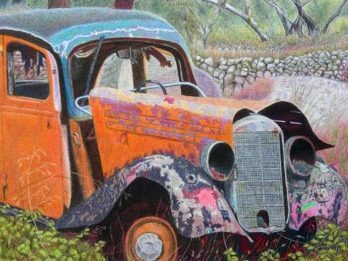 My Mum also loved art and she discovered an artist called Vic Bearcroft. I was lucky enough to go on a pastel workshop he was holding at the Wildlife Heritage Foundation in Kent. I had never used pastels before and had never drawn a big cat before, but I came away hooked on both! It was while I was on this workshop that I had the opportunity to get up close to some magnificent big cats and take hundreds of photos. Sadly my Mum passed away shortly afterwards and I found drawing too painful so my photos lay unused. After a while I knew I needed to pick up my pencils again because I knew my Mum would be very sad to know I’d stopped doing the thing I loved most. ‘Sleeping Lion’ is based on one of these photos and was actually a very therapeutic exercise. I also decided to set up my own website (www.izzysart.co.uk) and over the summer i also set up a facebook page for my art (www.facebook.com/izzysart1). I also thought how great it would be to have prints of some of my wildlife art so I decided to go for it! While its still early days in starting up my own business, it certainly gives me a great feeling knowing I’m giving it go. If I could give any advice to anyone it would be to have a go, you just don’t know what’s round the corner, sometimes you might find a nice surprise! 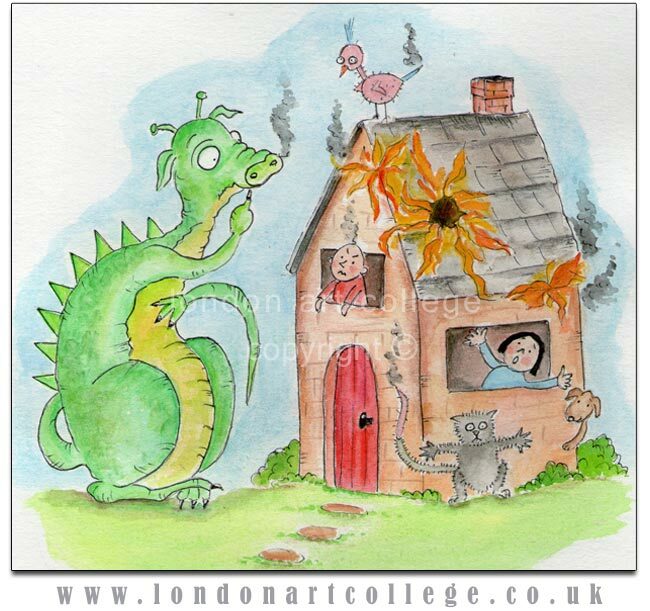 This piece of lovely artwork was created by one of our current students studying the Illustrating Children’s books Diploma. Maggy has requested it to be on the website and I thought it would make a great blog post. Don’t forget our blog posts can be seen on our Facebook page so if you are a Facebook member and ‘like’ our page, our posts will come up regularly in your newsfeed so you never miss out on a story. Maggy has said this piece of artwork “is a really great use of the technique….” so congrats to this student and all their hard work!